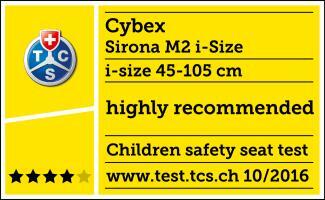 The new CYBEX Sirona M2 i-Size complies with the European requirements and regulations for car seats ECE R-129. This new "i-Size regulation" states that children aged 15 months and under must travel in a rear-facing infant car seat, which is seen as the safest mode of transport by many experts, including consumer and health organisations such as Which?, the ADAC and the German independent consumer testing organisation Stiftung Warentest. 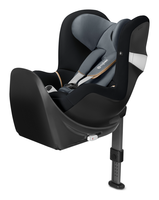 When using the CYBEX Sirona M2 i-size, the child can be transported in a rear-facing position from birth until they reach 105 cm in height (approx. 4 years). The new, intelligent design means that even taller kids have plenty of leg room to sit comfortably. 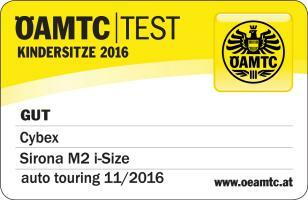 But it doesn‘t take up too much space either – the Sirona M2 i-Size can be easily installed in smaller cars. 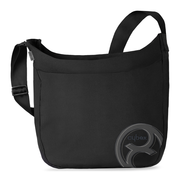 Additional features such as the one-hand reclining function provide extra convenience and make everyday use easier. The new Sirona M2 i-Size allows you to transport children rear-facing from birth up to a height of 105 cm (approx. 4 years). This significantly reduces the risk of injury in case of a head-on collision. The Sirona M2 i-Size features a click-in system that allows for easy interchange between forward and rear-facing position. 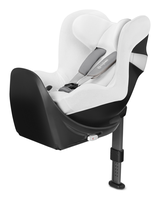 Depending on your preference, the Sirona M2 i-Size can also be used as a forward-facing car seat for children who are 16 months and 76 cm and above (up to 105 cm). Whether rear or forward-facing, the CYBEX Sirona M2 i-Size’s integrated Linear Side-impact Protection system (L.S.P. System) increases the level of safety in case of a side-impact collision. The L.S.P. system can be folded out on the side facing the door and reduces the force of a side-impact collision in combination with the head and shoulder protectors.